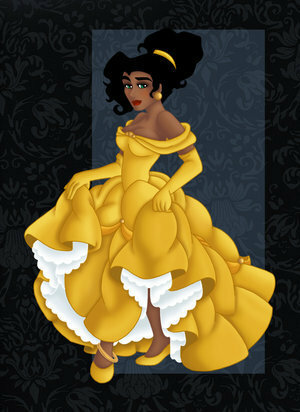 Esmeralda. . Wallpaper and background images in the ディズニー Leading Ladies club tagged: esmeralda. This ディズニー Leading Ladies photo might contain ブーケ, コサージュ, 花束, 小さな花束, ポーズ, and ノーズゲイ. You did exquisite work on the shading of the dress ! Very impressive work :D gorgeous result ! Also love the pose and the expression - her skin shading also is beautifully done !